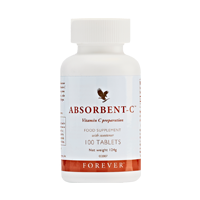 100 tablets (each containing 60mg vitamin C). Chew 1 tablet 3 times daily. Natural Oat Bran, vitamin C (as ascorbic acid), sorbitol powder, honey, stearic acid, silicon dioxide, natural orange flavour, citrus bioflavonoids, papaya fruit powder.